What are good ways to learn about the inner workings of Oracle to troubleshoot performance and availability issues? Why? Let's examine the typical objectives and the various means to accomplish them. I'm sure you have heard this complaint before - "the database is slow". If I had a dime every time I heard it, well ... you know the rest! Most DBAs by now know the next best thing they should do - check the wait interface - V$SESSION. That's a very good first step. From the view they figured out the session is waiting on cache buffer chain latch, and has been waiting 1234.56 seconds, measured to the precise microseconds and counting. They also got all the other data such as session Id, the statement and so and so forth. But then what? It's like a radio host reporting the stick market - x number of stocks are up, y are down, Dow is up by n, Nasdaq is down by m, and so on. All are factually correct; but none helps you in answering your question - why your specific portfolio of stocks is down and what other stocks you should consider. Of course, you have to pay a professional to get that information. In your database issue at the moment, that's what you have to do as well - you have to be a professional to decipher the further information. And that's the vital second step. After you identified what is the ailment, you have to understand how to eliminate that. Most seasoned professionals stop at the first step when the second step is the most important. And that's where you need Tanel's highly acclaimed Advanced Oracle Performance Troubleshooting seminar. It's not based on slides; but showing the demos right in front of you, using code you can understand and reuse. In this specific example, in the first part of his series, under the section "Latches" he shows you how to get the specifics of the latch, for instance the latch children. There are some traditional fixes, of course; but the big question is what if (and, that is a big IF) these well understood fixes do not work? What do you do next. Pray? As they say, a picture is worth thousand words. Now that you know how to find that popular latch, you are well on your way to troubleshooting. Hopefully this is all you have to do. But what if it's not. The problem still eludes a solution? Have no fear. 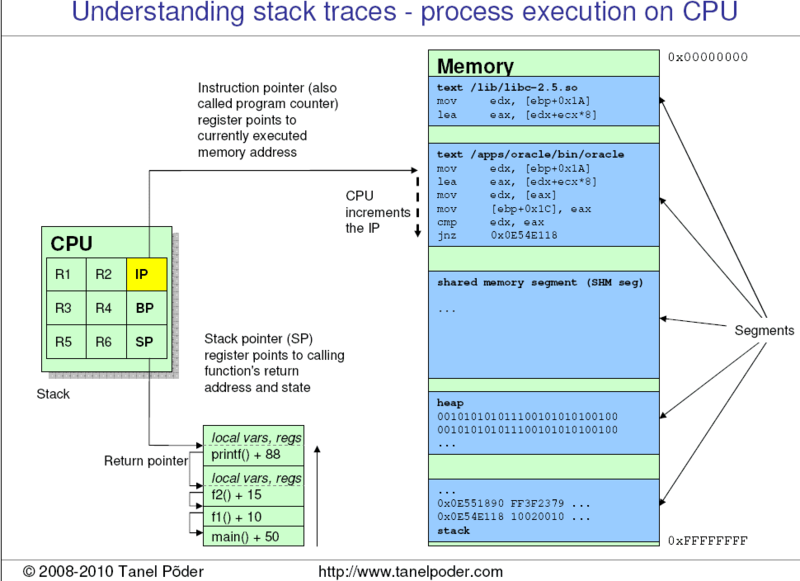 In his hang analysis section, Tanel talks about taking system dumps and explains how to analyze them - again with a few slides; and showing the actual trace file and interpreting the file right in front of you. And he explains each section with how to interpret the different data to come to the solution. At this point no problem is big enough to stand this type of scrutiny. If the problem persists, well, it's most likely a bug then. Oh, yes, Tanel will state the bugs that could affect performance issues and point to the MetaLink notes as well. Interested? I guess more like excited. I certainly am. 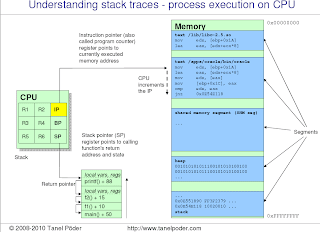 Tanels' first class is running April 11-15 http://tech.e2sn.com/oracle-training-seminars. It's a virtual class; so you don't have to step away from wherever you are, in whatever state you are in. As long you have the internet connection and an agile mind to absorb the superb information presented, you are in for a massive dose of superior learning. What about the scripts Tanel uses in the class? Are they proprietary? Do you have to buy them to use them? Do you need to write them down so fast that you capture all the details? Not at all. As a part of the course, Tanel will expose his entire script library to you. Intersted? Oops; I lied! Actually the scripts and tools are all free, even if you don't attend his class. They are at http://tech.e2sn.com/oracle-scripts-and-tools. Download to your heart's content. So, why is Tanel giving away his hard work for free? Well, buying the best tool from Home Depot will not make me a good carpenter; I must learn how to use them to build a deck. A script is only 20% of the solution; the rest 80% is knowledge. And the 80% is what Tanel's virtual seminars are all about. Hope you make the right choice. I know I have. Thanks For sharing such a post. Looking forward for such type of post.